Beautiful large elongated diamond shape in with spiral striping. The colors are vibrant and the encasing magnifies the color. Size of approximately 25mm in length by 20mm at the largest point with a 1mm hole runing through the center. 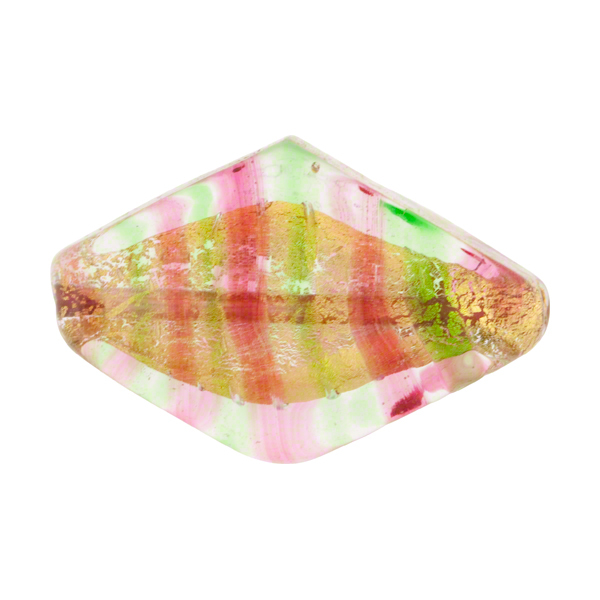 These will be beautiful in your Venetian glass jewelry. Clear Murano Glass encases the swirls of pink and green over 24kt gold foil.